In some cases you may need to have a test or scan performed prior to your procedure. If this is the case, your doctor will give you a referral to have the test performed here at the NSW Eye Centre. There are a range of diagnostic and testing services available which are designed to help your surgeon individualise your treatment and achieve the best possible outcome for your surgery. 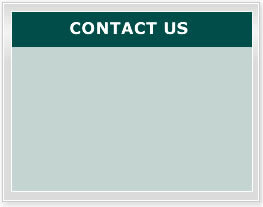 Cataract surgery in particular is an extremely precise operation with no room for error. Measurements of your eyes before surgery should be as accurate as possible. 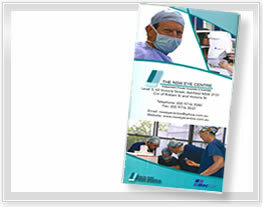 The NSW Eye Centre offers the latest technology available for pre-operative implant power measurements. A highly specific diagnostic test that allows the cell layers of the retina and optic nerve to be examined in detail. Similar to the ultrasound technique, OCT uses scattering of light to rapidly scan the eye, providing a cross section of the cell layers of the retina. With this information, the treating ophthalmologist is able to detect ocular conditions, sometimes before the symptoms manifest in the patient. The OCT is a non-invasive technology. It allows for the imaging of the retina without even touching the eye. The only discomfort you may feel is a flash of light when the OCT records the scan of your eye. The testing takes only a few minutes and the results are available immediately. The Oculus Pentacam is a rotating camera that photographs both the anterior (front) and posterior (back) surfaces and other areas of the cornea (the front part of the eye). The Pentacam Scanner’s main advantage is that it provides more precise measurements of the central cornea than any other ocular measurement instrument currently available. When used with the IOL Master, the Pentacam has proven invaluable for surgeons in determining the intraocular lens power (IOL) selected for use in your procedure. The Carl Zeiss IOL Master is a state-of-the-art laser system that evaluates the length of the eye, surface curvature and intraocular lens power. Intra Ocular Lenses (IOLs) come in different powers and sizes to compensate for each patient's individual needs. For best vision after cataract surgery, precise measurements must be taken to determine which IOL to implant.The IOL Master is an efficient painless test, performed by one of our trained nursing technicians.